Not for me.I love some spicy food but not this. Oh, what kind of spicy food do you like? @resukill22 hot and chili peppers for one. I do love spicy food. I also like vinegar but I don't think I've ever had spicy vinegar. I suppose that some of the sauces I used would be similar, though. 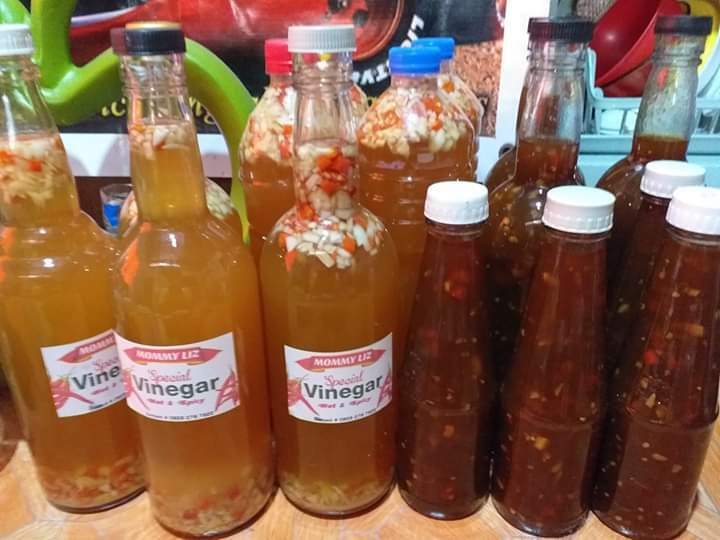 Oh I see, but have you try these kind of spicy vinegar? @resukill22 I haven't tried any like the ones in your picture. I use sweet and sour type sauces. Sometimes I will make them, sometimes I buy them. I think the bought ones have vinegar in them but my home-made ones don't. I might try it, though. Yes I always like spicy dips as it is the best for my tongue and my taste buds. I love spicy and a bit sweet vinegar and lots of chopped garlic too. . I love dipping my fried chicken and grilled foods and dried fish on it. Makes me eat with so much appetite. @resukill22 I like most of my foods spicy actually. I like sweet and spicy foods but depending on the way it is prepared. Like I want spicy shrimps and crabs, but I don't like spicy fried chicken. @resukill22 I like them plain just like the way they fry it at Max's. @florelway hehe so you eat that with no sauce? @resukill22 I have never heard of spicy vinegar. I also love spicy food. Really? No you never heard it? @resukill22 No, I have never heard of it before. I like all kinds of herb infused vinegars. They are so good. I make some of my own. Wow really?, what ingredients you put on it? I love spicy food too.There is a vinegar you can drink sold at Sprouts,Whole Foods, etc.Made by Bragg.